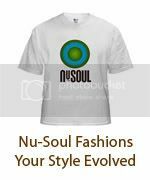 Nu-Soul Magazine and Soul Union return with the first edition of Strictly Social in 2008. 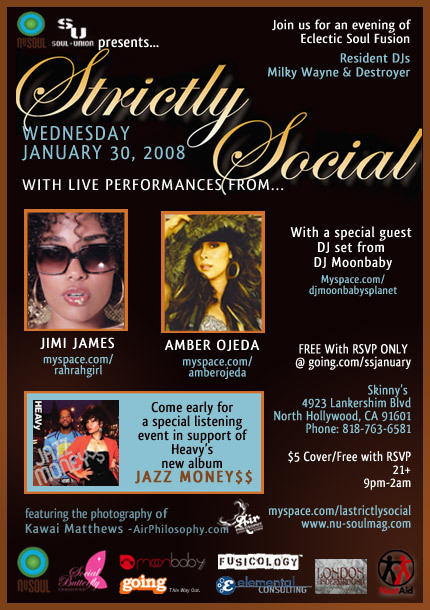 On Wednesday January 30, 2008 come experience LA's top night for eclectic soul fusion featuring a diverse lineup of up and coming soul pioneers, DJs and visual artists. The night will also feature the photography of Air Philosophy on display. Resident DJs Milky Wayne & Destroyer will be bringing the hottest nu-soul grooves for you to dance to.